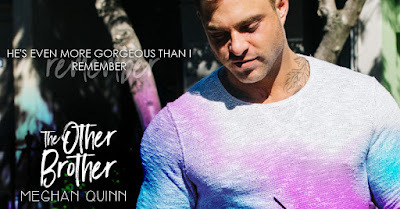 Meghan Quinn never fails to deliver, whether it be her hilarious rom-coms or her heartfelt contemporary romances. I didn’t know what to expect with The Other Brother, the title led my brain totally down the wrong path as I went into this book completely blind. What I got was unexpected, emotional, heartfelt, stunningly beautiful and one of the most unique second chance romance stories I have ever read. Don’t forget to read the dedication at the end, it pulls this whole story together and will have you sweaty eyed in no time. The Other Brother regales us with the story of Aaron or Smalls as he is known to his two friends, Tucker and Racer. 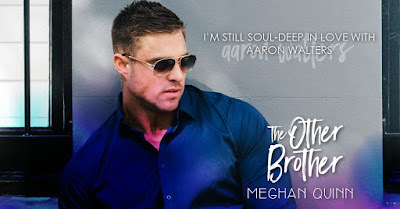 In Tucker and Racer’s books (Twisted Twosome and My Best Friends Ex) the Aaron we came to know had a huge heart, was quite quiet yet incredibly intriguing. 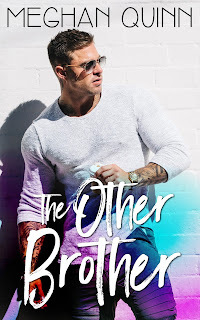 I had eagerly been anticipating his book, each one has been totally different and yet when this trio are together their commonality and deep-rooted friendship is apparent for all to see. The banter and the high jinks when these three are together will have you laughing out loud, especially when anything from Debbie’s is thrown into the mix, but at the heart of this story is one man that you will take deep into your heart and soul, one that you will want to hug and nurture, one where you will be itching to eradicate the pains of his past, one man who you will desperately want to shine. Your childhood is one of the most important periods of your life, from creating your own personality, your individuality and your confidence. Your childhood shapes your adulthood and your parents are the ones that are supposed to show you the way. When this process is incredibly flawed the repercussions can be dramatic and for Aaron that childhood was still haunting him. Aaron was incredibly self-deprecating, he truly didn’t appreciate his worth, he put himself at the bottom and everyone else above him, even if that meant sacrificing his own happiness. Aaron had a huge heart, when he loved, he loved hard, completely devoted. I simply adored him, and I desperately wanted him to find that complete devotion in return. Amelia is back in town to look after her ailing father. Renting a house in a community close to her father’s care home Amelia is shocked when she finds her new neighbour is her first love, the one that she has never got over, the one that permanently broke her heart. Fate has a way of showing us the way and the fact that their paths cross once again is not coincidence. The connection that these two have is so strong, even after all these years and a lot of water under the bridge. 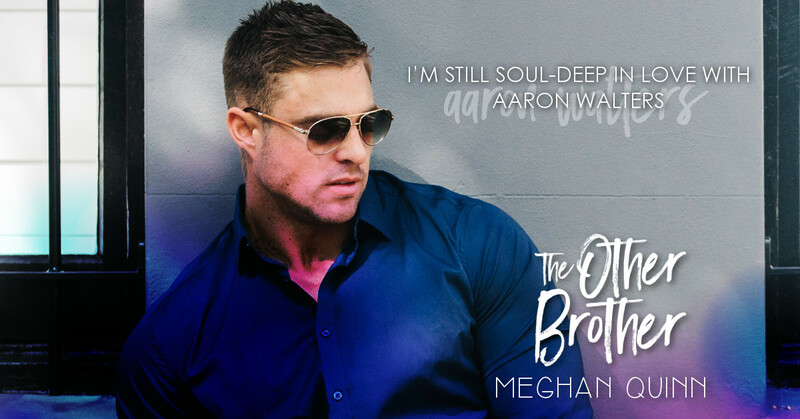 Meghan Quinn delivers a story that will have you rapt from first to last page as the past and present of Aaron and Amelia comes to life in all its heart-breaking and heart-lifting glory. The emotion as ever was on point as you cannot help but take these characters into your heart. Aaron, as I said above was adorable in every single way. He was selfless, he lifted the lives of so many people despite the stagnancy of his own. Aaron always felt the need to prove himself and yet he couldn’t see just how well loved, appreciated and invaluable he had become. 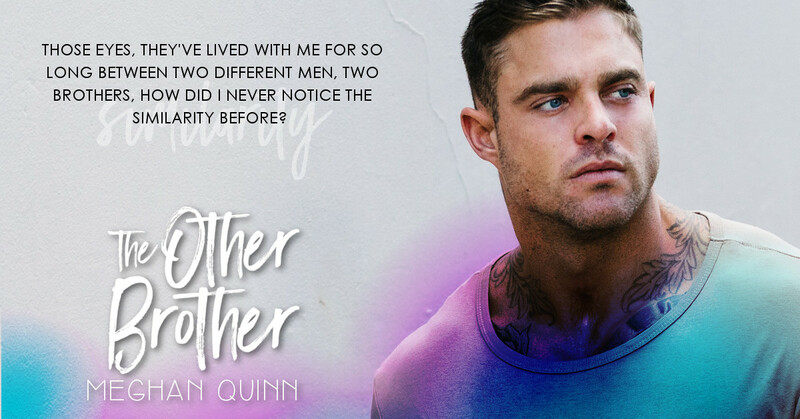 The relationship between Aaron and Amelia’s father had me in tears at times as Meghan Quinn touches on Alzheimer’s. There was nothing not to love about this book. The writing as ever was spectacular. 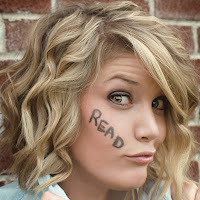 That trademark humour prevalent throughout with tears of laughter accompanying those sneaky tears of emotion. The character connection was perfection, between both primary and secondary and the story was compelling and unputdownable. Another winner from Meghan Quinn.